This book had two things going for it from the start. One, That. Cover. Personally, that image is something that gets more and more interesting every time I see it. After reading the book, I love the cover art even more. I don't think I could ever envision anything as extroadinary, but that cover is a great depiction of what the story is about. And that leads me to number two; the synopsis. I am a huge dystopian fan and I love the description of the book. The terms 'obedient orphan' and 'The Wheel' all had me pushing this book to the top of my TBR pile. Alenna hasn't had a picture perfect life being an orphan after her parents were arrested and never heard from again. Now at sixteen, she finds herself on Prison Island Alpha in a war between a seemingly peace loving tribe and the Drones. The Drones are ruled by a religious, mask wearing freak who guys by the name, Monk. People fear him and his Drones think he is the be all and end all. The islands views on this man and his cult following were really interesting. One group adores the man, the other absolutely loathes. These kids are smart and know when something smells fishy. Alenna is a smart girl as well. Her relationships with the other villagers, the special boy she can't stop staring at, and the special boy that throws all caution to the wind keep her on her toes. I appreciated that Stasse didn't hold back from the violence and she didn't shy away from offing main characters. The Wheel is supposed to be the place where these prisoners die suffer and eventually die. The life expectancy is less than two years, and sugar coating prisoner life would have left this story falling short. Fortunately, that didn't happen! Several people die in horrific and unsuspecting ways. People step up as heroes and some just end up being hauled into the sky by flying robots. Yeah...I like those parts. A little bit of The Hunger Games, and a little bit of The Maze Runner makes this an adventure/dystopian lovers top pick. And that would be me! 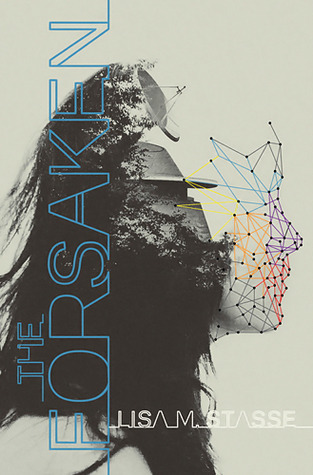 Thanks to Simon & Schuster, here is your chance to win finished copy of The Foresaken! Fill out the fancy doo-hickey to be officially entered. US only, good luck!